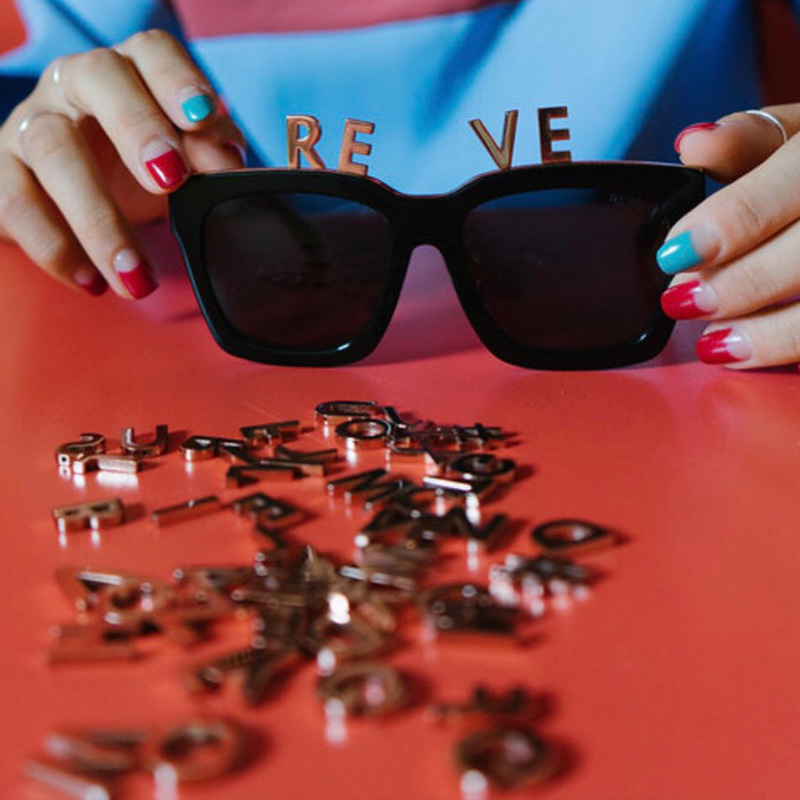 HONG KONG, May 15, 2018 /PRNewswire/ -- REVÉ by RENÉ reveals new Alphabet sunglasses collection, the world's most innovative eyewear, worn by some of the hottest influencers and celebrities. Pioneering innovation in eyewear, REVÉ by RENÉ has launched its latest collection with interchangeable elements. 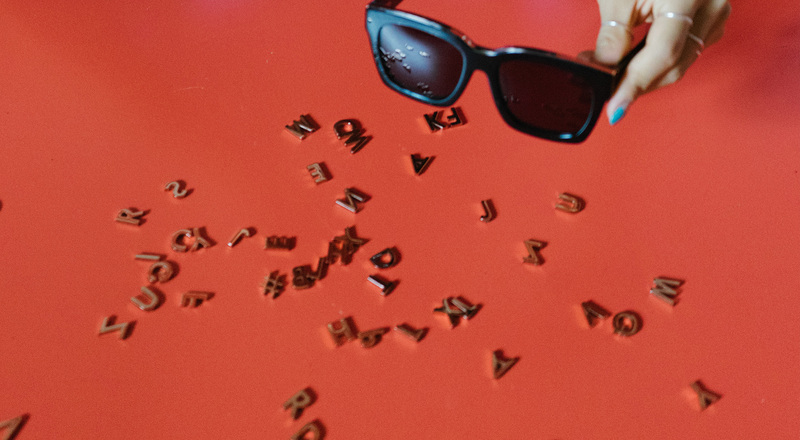 The Alphabet Bar sunglasses include a magnetic strip that lines the top ridge of the frame to hold the gold-coated alphabets and symbol (A to Z, #). Play is the very essence of human expression, and through such play, we ultimately determine who we are. Alphabet bar was designed to evoke self-expression through play - appealing directly to the sense of touch of Revé's 5 Senses collection. A bold silhouette crafted with Italian black acetate. The magnetic strip that lines the top ridge of the frame holds the gold-coated alphabets and symbol (A to Z, #); allowing wearers unabridged control over their whims and how they choose to express themselves. You'll never look the same way at - or in - sunglasses after experiencing REVÉ by RENÉ, the collections of men's and women's eyewear featuring bold shapes that playfully expand the usual geometry of frames. A clever system of magnets to add detachable parts that make the glasses more organic and expressive. From candy-coloured hues to shiny gold metal. Wearers give frames shapely eyebrows, whimsical cat ears, golden vampire fangs or even the horn from the rarest of exotic creatures, the unicorn. "I love sunglasses. It's the only fashion accessory that both reveals and conceals at the same time," says Chu, a Los Angeles Fashion Institute of Design and Merchandising graduate in product design. Born in Des Moines Iowa, René Chu founder and creative director of REVÉ began her career in fashion modelling, and as a movie wardrobe assistant to Oscar-nominated art director William Chang Suk-Ping. René's designs were quickly snapped up by the iconic Parisian boutique Colette and soon caught the eyes of international celebrities such as Beyoncé, Gwyneth Paltrow, G Dragon, Camilla Belle, Chaelin, Siwon Choi, Fan Bing Bing, Chriselle Lim and Aimee Song. In 2017, London College of Fashion alumni Tiffany Chan joined the REVÉ team to lead business operations and development. Her father, Boby Chan, and her mother Shirley Tsui Chan are the founders of MOISELLE international Holdings Ltd. After starting her career at Hermés Shanghai, Tiffany then returned to her family business MOISELLE, managing the operations and strategic planning for Taiwan and Hong Kong offices; which also included handling the buying and business development for French and Italian brands Lancaster and Coccinelle. To date, REVÉ is stocked in over 30+ notable retailers including LA's Just One Eye, MOCA Museum, Seoul's Boon the shop and Puyi Optical. The brand is fast becoming renowned for collaborating with the world's most talented creators and endearing characters like The Minions. For more information or hi-res images, please contact Michelle at contact@revebyrene.com.